Finding your perfect home can be an exciting time. However, before you jump straight into signing on the dotted line, there are a host of things to consider. To make sure you have all bases covered when renting your first home, check out our simple guide to give you peace of mind. There are a host of affordable rental properties on the market. However, when deciding on the type of home you are looking for, it is advisable to consider your budget for all costs including rent. Living costs include everything from heating bills, Internet connectivity, water and council tax. These expenses should make up your overall accommodation budget to make sure you can live comfortably in your new home. In most cases, tenants will enter an assured shorthold tenancy (AST). This contract gives tenants protection throughout the term of the lease. However, there are some responsibilities that you also need to uphold. Most ASTs start a tenancy term at 6 months, and future terms can be agreed after this time. You can find out more about what happens when a fixed term tenancy ends here. Deposits are often a requirement before you move into a property, and help to give the landlord some protection should there be any issues at the end of the tenancy. When a landlord asks for one, you will need to ensure they protect it using a government-approved scheme. This gives you some protection if there are any irreconcilable disputes between you and the landlord. When you have all the paperwork in order, there are some things to check before you move in. A landlord has a legal obligation to ensure your new home is safe and has an up-to-date safety gas certificate in place. Electrical equipment in the property including smoke and carbon monoxide alarms should be in good working order too. They should also provide you with deposit paperwork within 30 days of receiving your money, and give you an energy performance certificate so you can gauge the energy efficiency of the property. Sometimes things go wrong. However, whether it is an accident or external fault with the property, knowing where to turn is crucial for peace of mind. Before you move in, be sure to have relevant contact numbers for your landlord or agent in case of an emergency. Your landlord also has a responsibility to ensure any repairs or maintenance is completed in the property. So, don’t be tempted to try and complete the work yourself! Alongside the landlord’s obligations, tenants also have some responsibilities too. Of course, paying your rent and bills on time is an obvious prerequisite. However, there are a few things that might slip your mind. Knowing where the stopcock, fuse box and your meters are in the property can help in an emergency. Plus, testing any smoke and carbon monoxide alarms regularly can, in fact, save your life. These are just a snippet of the things you need to check before choosing your perfect home. 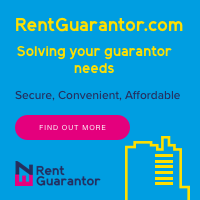 For more information on renting, check out our host of articles in our Tenant Guide for an in-depth insight into the process.